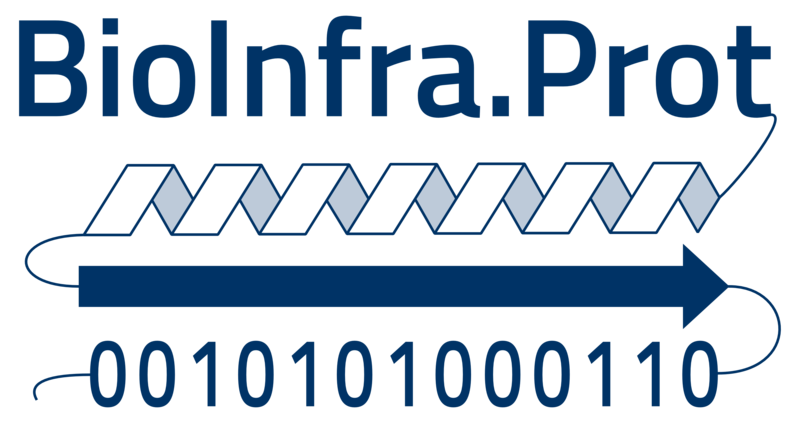 LIFS is a supported by the German Federal Ministry of Education and Research under grant numbers 031L0108 (A/B/C) as part of the German Network for Bioinformatics Infrastructure (de.NBI). As a service provider, we are responsible for our own content on these pages in accordance with §7 Section 1 of the German Telemedia Act (TMG). According to §8 to 10 TMG, however, we are not obliged as service providers to monitor transmitted or stored third-party information or to investigate circumstances that indicate illegal activity. Obligations to remove or block the use of information in accordance with general laws remain unaffected by this. However, liability in this respect is only possible from the time of knowledge of a concrete violation of the law. As soon as we become aware of such violations of the law, we will remove these contents immediately. This data protection declaration further specifies the general data protection declaration of ISAS e.V. for the offer hosted at https://lifs.isas.de in accordance with the DSGVO. The use of our website is generally possible without providing personal data. As far as on our sides personal data (for example name, address or email addresses) are raised, this always takes place on voluntary basis. This data will not be passed on to third parties without your express consent. We only process personal data of our users if this is necessary to provide a functional website as well as our contents and services. The processing of personal data of our users takes place regularly only after consent of the user. An exception applies in those cases where prior consent cannot be obtained for real reasons and the processing of the data is permitted by law. We offer a web form to contact us. This requires you to enter your e-mail address in order to be able to contact you in case of enquiries. Your e-mail address and your inquiry will only be sent and answered to authorized employees. The data is also stored in the log files of our system. This data is not stored together with other personal data of the user. The legal basis for the temporary storage of data and log files is Art. 6 para. 1 lit. f DSGVO. The temporary storage of the IP address by the system is necessary to enable the website to be delivered to the user's computer. For this the IP address of the user must remain stored for the duration of the session. Our legitimate interest in data processing pursuant to Art. 6 para. 1 lit. f DSGVO also lies in these purposes. The Matomo cookies enable us to analyse your use of the website and provide the project management organisation (FZ Jülich / BMBF) with the basis for a half-yearly reporting of user figures for the purpose of evaluating the success of the project. The information generated by the cookie about your use of this website is transmitted to a server under the supervision of ISAS e.V., Dortmund, Germany and stored there. For these purposes, our legitimate interest also lies in the processing of personal data in accordance with Art. 6 para. 1 lit. f DSGVO. If IP anonymization is activated on this website, your IP address will be shortened before it is saved (the last two address blocks will be zeroed). IP anonymization is active by default on this website. We use this information to evaluate your use of the website, to compile reports on the website activities and to make further improvements to the offer associated with the use of the website. Alternatively to the opt-in you can also set the "do-not-track" option of your browser. Matomo will then no longer collect your data. This website uses so-called "cookies". Cookies are text files that are stored in the Internet browser or by the Internet browser on the user's computer system. If a user visits a website, a cookie may be stored on the user's operating system. This cookie contains a characteristic character string that enables a unique identification of the browser when the website is called up again. <UUID> Randomly generated session key. Set when you visit the Web page to record the start and end of a session. piwik_ignore Cookie set by Matomo / Piwik after the opt-out. Disables tracking. If your browser is not listed above, please use the built-in help function of your browser or visit your browser manufacturer's website. The revocation of the consent, as well as the contradiction of the storage can take place at any time to the persons indicated in the head of this side. It will be confirmed on receipt and when the request is executed.